(CercleFinance.com) - The Nexity share has fallen by 2. 3% over the week, having fallen by a total of 14% over the past six months. This reflects the stockmarket's concern over the outlook for property development in France. Different indicators of residential construction in France, as well as forecasts from professional federations are increasingly downbeat: particularly those relating to houses, which are indeed poor. 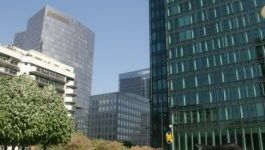 Alain Dinin, Nexity's boss, said that the residential market in France is falling slightly (-5% in the first quarter of 2018), due to the removal of incentive measures in areas where there is no disequilibrium between supply and demand, the government's policy towards social housing and selling prices that are increasing faster than buyers' purchasing power.